Members of the police force in the Constitution River Terminal. A senior police official has issued a warning to members of the public cautioning them against launching attacks on police officers. 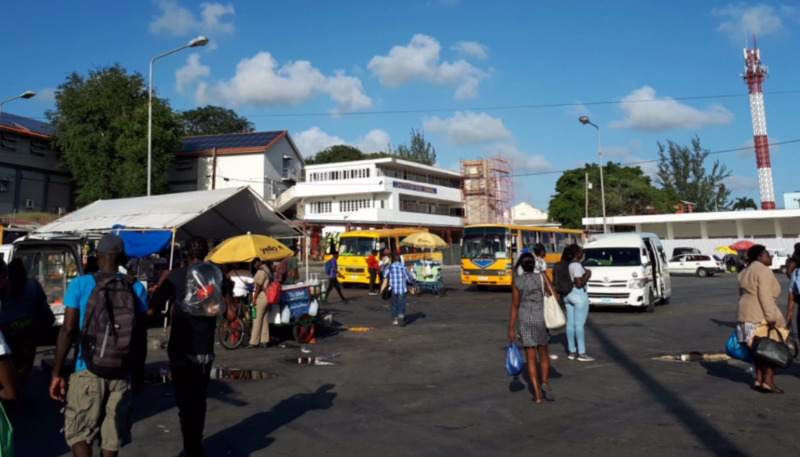 The warning came during a walkthrough conducted by members of the Royal Barbados Police Force (RBPF) in the River Terminal on Wednesday, in an attempt to tame bad behaviour and violence in the area. 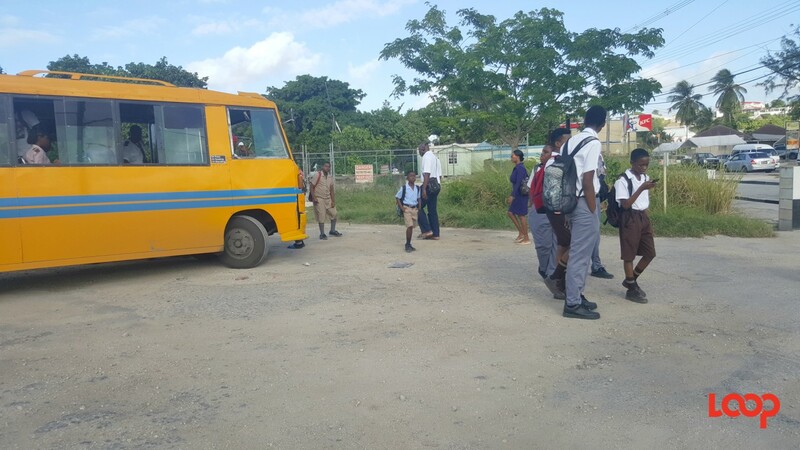 Senior Superintendent Euklyn Thompson told members of the media they were hoping to get the lawlessness in the Terminal resolved. He mentioned the incident which occurred last month between a police officer and a civilian fighting by the wall of the terminal. The incident resulted in two men being charged with a number of offences including assault against two officers, damage to Crown property and obstruction of police duties. They were both remanded to HMP Dodds until June 1. “It is not alright for anyone to attack a police officer. 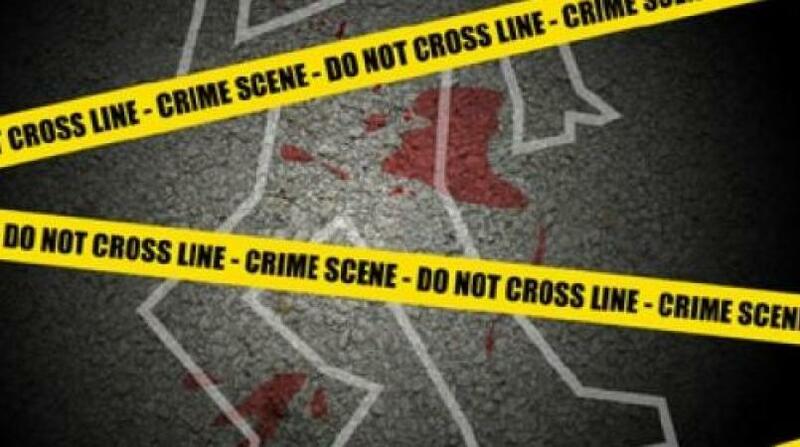 If anyone has an issue with any one of our officers we have a mechanism in place to deal with that,” Thompson said. 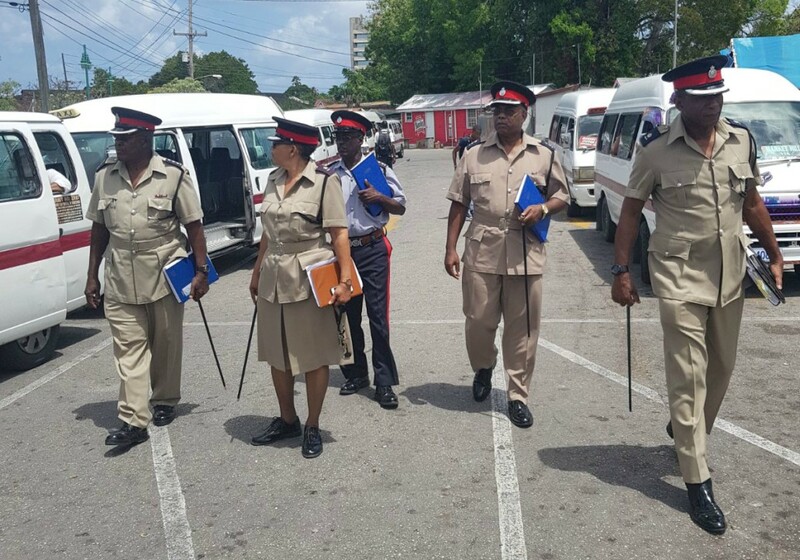 Thompson added it was the hope of the Force to nip the bad behaviour in the bud soon with the construction of the new police outpost at the Terminal expected to improve the conditions. “There is a general feel that when the building is completed it will bring order to bare on this environment. We will even have additional people for lawlessness to lend support to our officers. It is difficult for our officers to control all of the activity out here,” he explained. Director at Transport and Works Alex Linton revealed that the building housing the officers was now closer to completion than ever before. “We had some unresolved technical issue but I’m sure that you can appreciate that we do not want to open a terminal that is unsafe for the general public,” Linton said. 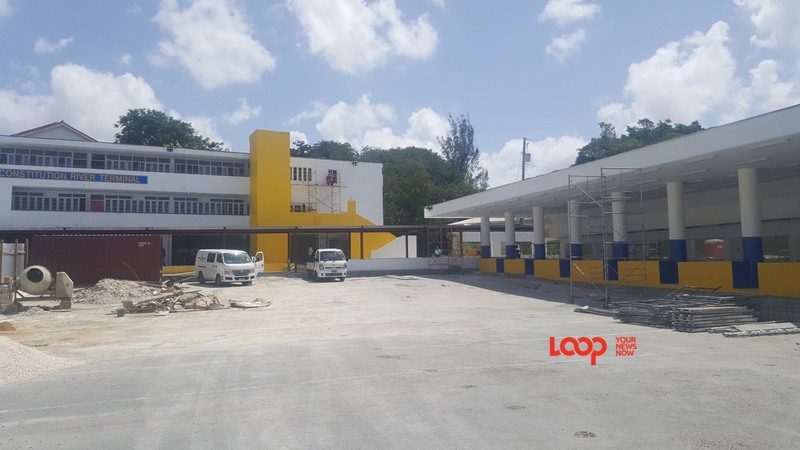 Soon enough he said the traffic flows will be turned around, however he said a date could not be established for the official opening of the building.